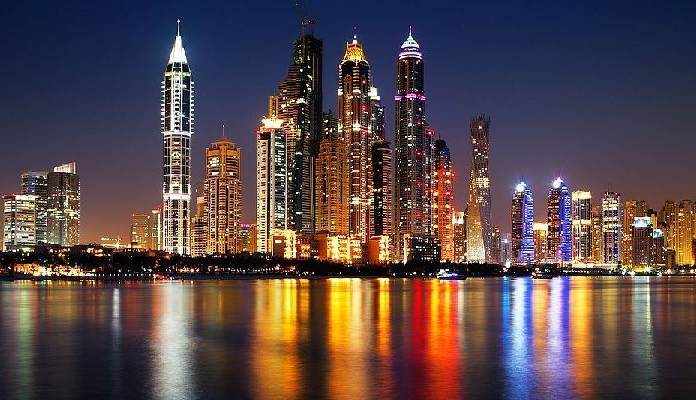 Property sales and transactions slow down in Dubai during Ramadan. This is a myth. With the holy month falling during summer, which traditionally sees a lull, for the past few years, there has been a common perception that Ramadan dents demand for property sales and other transactions in Dubai. This couldn’t be farther from the truth. As Ramadan moves away from summer over the next few years, the holy month is unlikely to be cited as a factor which will impact property transactions negatively. “Ramadan has fallen during the summer months over the past four years. Many naturally assume that this will be a quiet period, but online searches and enquiries on propertyfinder.ae indicate the opposite. Due to the heat and shortened working days, people spend more time at home and have excess time to search online. Consumers are spending more free time browsing the web on their mobiles, tablets, laptops, desktops and even their smart TVs. Even when people are shopping at malls, socialising at friends’ houses or travelling, they remain connected,” said Lukman Hajje, Propertyfinder Group chief commercial officer. According to an analysis by Core Savills of monthly sales transactions in Ramadan over the past seven years, it has been revealed that Ramadan months are not necessarily the slowest. The slowest months on average have been August, followed by September and October since 2010. Transactions peak towards the end of March, as well as June and December – which represent the end of Q1, Q2 and Q4 respectively. Performance in March and December have an amplified effect due to financial year closures, while June’s peak is attributed to sellers and buyers attempting to make transactions before the summer lull. According to propertyfinder, January and February are peak months, with daily enquiries 11 to 23 per cent above average. Activity then slows slightly from April to July. Sales enquiries rebound from August, a time when families are preparing for the start of the school year and many new residents arrive. “While property inspections decrease due to the heat or people being out of the country during summer, those that attend viewings tend to be far more serious about their search. Either they are hard negotiators looking for seasonal deals or they are customers who have a time limit on their move. The fact that summer coincides with the end of the school year adds to this urgency as many rental contracts coincide with the school year, particularly villas and larger apartments that are often occupied by families,” added Hajje. It is possible that the transaction process may be slower during Ramadan due to shortened working hours across private and government offices. Data from Propertyfinder indicates the UAE’s real estate agents will be busy during Ramadan. Agents seem optimistic that current prices will prove too tempting to resist for the many investors currently sitting on cash. Other factors have a bigger impact on property sales than Ramadan – for instance, the hot and humid weather in summer. Winter and spring seasons (November to April) have consistently outperformed the rest of the year (which is largely summer) by 10 per cent. The lowest number of transactions recorded is in August, the hottest month of the year. Similarly, with a majority of families travelling during the school holidays, there is an uptick in activity as they return, with a slightly higher number of transactions from September to November. Regulatory changes can also influence sales. For example, when the transfer fee doubled in October 2013, that month was the slowest since 2011 to date. Economic slowdown and oil price drops are among other factors that could impact demand for property. Transaction volumes reflect that 2015 and 2016 were the slowest performing years for Dubai property.